A couple of months ago we hit a big milestone — LiveChat reached 20k customers for the first time ever. A month or so before that happened, we held a small company-wide competition. The goal was to guesstimate when the 20k would happen. We had 70 people trying different things, from making semi-random picks to using popular analytical models. I went with Prophet — a prediction tool from Facebook. 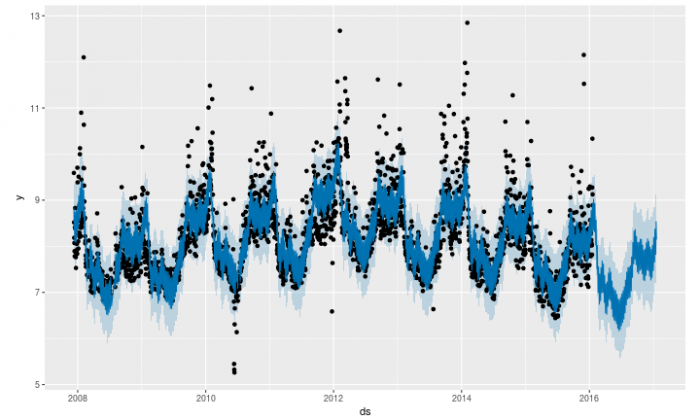 Prophet is an open source forecasting procedure for Python and R. You can use it to make predictions for time series data. 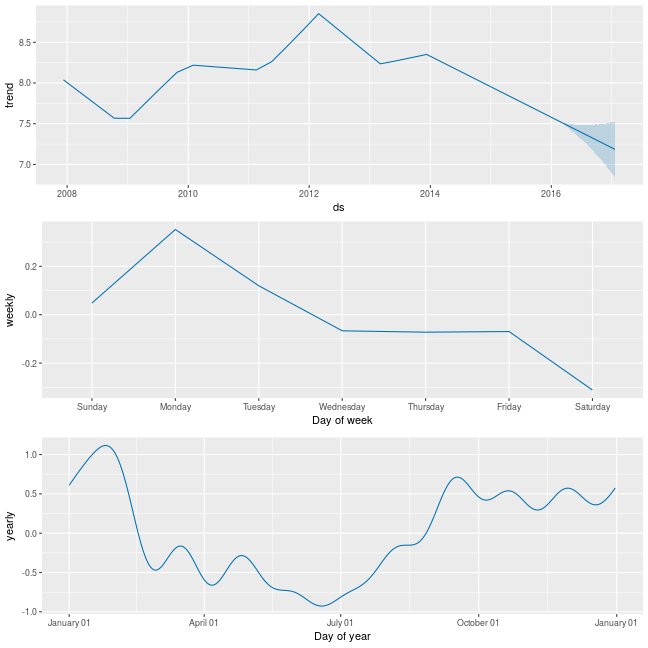 It handles well the data affected by seasonality and various holidays. This made Prophet a perfect fit for me since LiveChat is affected by seasonality a fair bit (think slower growth during summer and booming growth before and during the Holiday shopping season). Additionally, I already had some previous experience with R from working on our annual customer service report. It turned out to be more than enough since Prophet is pretty straightforward. In my prediction, I used 5 years’ worth of data. Why this specific number? This is the farthest I could go back where the data looked fairly similar. I didn’t want to feed the model with any data that changed only because we tweaked our ‘optics’ a bit and modified the way we calculate certain metrics. This could lead to wrong conclusions as the model would try to incorporate the ‘optics’ change into the trend. As a result, you get an object with yhat column, which gives you an estimate for each day of the specified time-frame. Multiply the log number by e and you’ll get the result! I strongly encourage checking out the full project documentation. After running Prophet with my data, I got the result as a series of logarithms. After finding the right number, I extracted the date and cast my vote. Did I get it right? Well, almost. I missed the mark by one day. One big spike mid-week set the number of customers at exactly 20k a day before my pick. It may seem a bit anticlimactic, but using Prophet was definitely fun and worth it. Although I didn’t win the contest, the prediction model seemed fairly accurate. Using the historical data, it was able to predict almost exactly when we’d hit 20k customers. I even got to learn when we’d hit 30k customers (if the model got it right). Not going to disclose that in case there’s another competition! On a more serious note, if you’re struggling with predictions in an industry that is highly volatile and/or affected by seasonality and holidays, you should definitely give Prophet a try.